Sheldon Adelson’s long-sought and finally-purchased attempt to have the Department of Justice last month reverse itself on the topic of the reach of the US’s 1961 Wire Act and its potential devastating impact on legalized online gambling across the country isn’t free and clear yet. Spurred by strong indications that the DOJ’s latest say-so on the topic was a slice of crony capitalism purchased by Adelson, the attorney generals of both New Jersey and Pennsylvania are pressing the reversal against acting U.S. attorney general Matthew G. Whitaker and Deputy Attorney General Rod J. Rosenstein, the men behind the reversal. The new DOJ take on the matter was created in November and shelved for nearly two months before being published during the temporary shutdown of the US federal government. The 23-page reversal opinion, signed by a high-ranking DOJ official declared that the motivation to revisit the issue, declared that “The Criminal Division [of the DOJ] has asked us to reconsider the 2011 Opinion’s conclusion that the Wire Act is limited to sports gambling.” However, evidence quickly emerged that this was somewhere between a misdirection and an outright law, as lobbyists for Adelson, crowing about their success, let it be known that the reversed opinion was directly in line with legal briefs on the topic as prepared by Adelson’s attorneys and lobbyists. The reversed opinion “accords entirely with the analysis my firm undertook and I shared with the DOJ,” said Washington attorney Charles Cooper, an Adelson-funded lobbyist who sent a memo to the DOJ’s Office of Legal Counsel (OLC) in 2017. Other Adelson lobbyists have gone public with similar takes in the last three weeks. States who have already legalized one or more forms of online gambling are taking steps to comply with the DOJ’s latest opinion, as happened recently in Pennsylvania, when the state’s Gaming Control Board sent a letter to the state’s licensed casino operators about the potential impact of the new opinion. Yet Pennsylvania, New Jersey, and other US states are increasingly worried that the process was anything but legitimate. 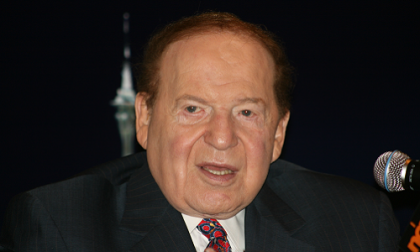 According to CDC Gaming Reports, New Jersey AG Grewal has also filed a Freedom of Information Act (FOIA) request seeking all records pertaining to the reversal, including any and all correspondence between the DOJ, OLC and all lobbyists and attorneys representing the interests of Las Vegas Sands Corp and Adelson, its CEO and primary shareholder. 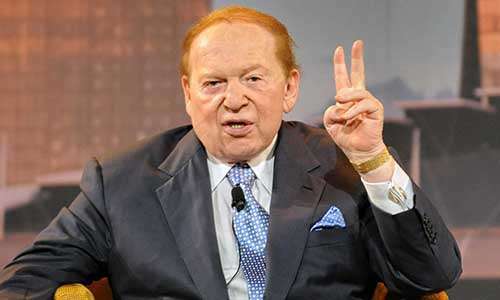 Adelson has spent tens of millions of dollars in his effort to bar online gambling in the US, in large part to protect the interests of Adelson’s own land-based US casinos, primarily the Venetian and the Palazzo in Las Vegas. Other analysts have offered similar thoughts, and it all means that the DOJ reversal likely faces multiple legal challenges in the coming months. New Jersey in particular has enjoyed strong revenues from online gambling, and Pennsylvania, even more populous, is expecting more revenue from online gambling as well. These states aren’t likely to cave to a single billionaire’s corrupt strings-pulling without a pitched battle.